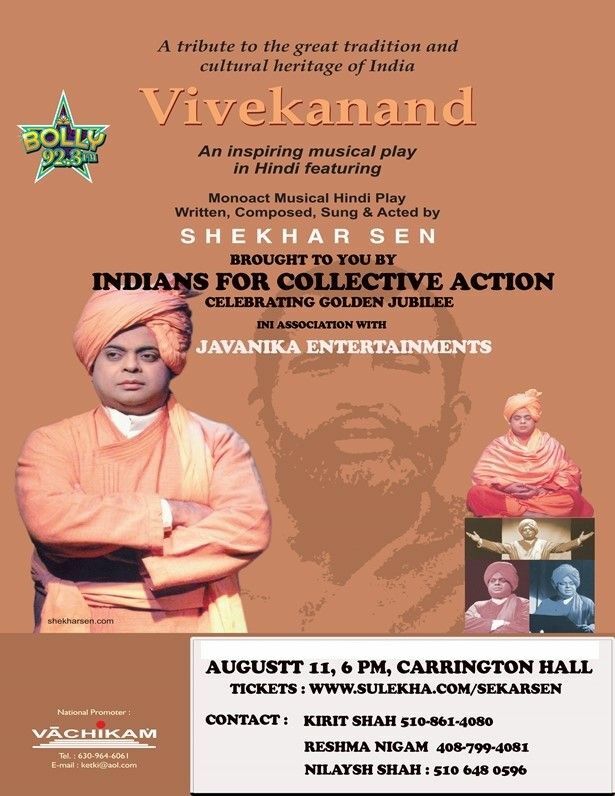 Please note VIVEKANAND 'Mono Act Musical Play' By SHEKHAR SEN occurred in past. A tribute to the great tradition and cultural heritage of India. An inspiring musical play in Hindi featuring Shekhar Sen.